Today I present young polish pianist Maciej Tubis (b. 1983) and his first recording titled Fulfilment. Why "fulfilment"? Although still very young Tubis has behind himself almost 20 years of musical edution. He finished with acclamation studies in Music Academy in Lodz where he is now working as a teacher of jazz improvisation. Although he is exceptionally well educated in classical music, his inclination towards pop music (he's great fan of Jamiroquai) and jazz music led him eventually toward improvised music. His music still sounds very classical and is inspired by composers like Arvo Part, Michał Górecki and Grażyna Bacewicz, therefore being very spacious, cold, solemn and melodic. There are present some touches of jazz but generally speaking they are rather sparse and this is jazz almost without syncopated or swing element, strange as it sounds. In this few moments however when Tubis start to play more jazz than classical music we listen to pianist that has incredible and great possibilties, the one that may in future continue the line of polish virtuoso pianist succesfully melding classic and jazz music, like for example Mieczysław Kosz, Adam Makowicz or Leszek Możdżer. Tubis composed all the music played on this album (except song Moja Lodz that is improvisation on the theme of polish opera composer Stanisław Moniuszko). Last but not least music on this disc is stylistycally coherent, attractive and inspiring. I simply admire this work of such a young artist who shows that as composer, performer, musician he's capable of great things in future. On this record he is accompanied by Jacek Delong playing on tenor saxophone, Mariusz Wiater on double bass and Emil Waluchowski on drums. All these muscians come from Lodz and are connected to its Music Academy as teachers or students. Jerzy Malek is trumpeter which is good example of the strong wave of young Polish jazz musicians coming one by one to the scene over the last few years. Regardless of his young age, 29 years, he already recorded seven albums and is assertively looking for his own, individual sound in jazz. Not all of those albums were immadietely printed after recording. This cd is for example waited nearly three years to be issued. Nonetheless it sounds very well and freshly proving that Małek and his companions are able to create music that may last longer than few days or months after premiere. First I shall write few words about Małek, then about musicians that accompany him on this record and finally about the program and music itself. Jerzy Małek started his musical education in his native city of Elbląg and completed it in excellent jazz faculty of Music Academy at Katowice (in class of Polish virtuoso trumpeter Piotr Wojtasik). He quickly made his name in polish jazz through participating in jazz competishions and through playing as sideman with such renown polish jazzmen like Jarosław Śmietana, Zbigniew Namysłowski or Zbigniew Wegehaupt to name just a few. He feels very well at concerts, like plays live and is able to fit in almost any squad or type of music. This is basically what is his strongest side: great universality and width of his musical interests. And to some extent his weakness also because he clearly has not yet developed his individual style, he is still looking for it. Another strong side of him is that he is able to gather around himself excellent musicians. Look at the personnel playing on this record: Tomasz Grzegorski (1,4,7,8), Dariusz Herbasz (2,3) and Radek Nowicki (6,7) are all very promising tenor saxophone players. Dominik Bukowski plays vibes. Jan Smoczyński - hammond, rhodes and electrical piano. Konrad Zelmer on guitars. Sławek Jaskułke rhodes (7). Adam Kowalewski (1,3,4,5,8) and Krzysztof Pacan (2,6,7) bas. Roman Slefarski drums. Bogusz Wekka percussion (1,2,4). And Mika Urbaniak vocal (3). I believe that so many polish names at once may be puzzling for foreign listeners but the fact is that nearly all of them are very promising players, winners of country and international jazz competitions and many of them already recorded interesting albums on their own. Simply speaking these are all names to remember and one should pay tribute to Małek that he was able to persuade them to play together. The sligltly funny side of such a success is that quite ofhen on this album Małek sounds not as a leader but rather like average band member. Other musicians take over from him and dominate one song or the other like Jan Smoczyński whose play on this record is especially noteworthy. All music on the record is composed by Malek. So what is its style? 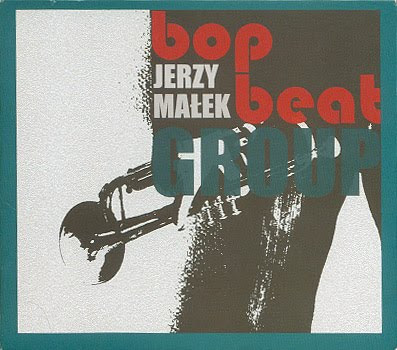 Up to this date Malek was known for playing mainstream jazz, in this cd however he deviates (as the title of the album suggests) toward fusion, funky and neobop, therefore music is jazz but also easy-to-listen, communicative. To sum up I want to say that although is some respects this record could be better, for example in my opinion it lacks idea that would keep music together, securing its integrity and cohesion, it is so attractively composed and played that I return to it over and over again. Polish jazz pianist and composer Mieczyslaw Kosz went through jazz scene of the country like a shooting star: bright, awe-striking and short-lived. He died being just 29 years old (1944-1973) promising a lot, fullfilling some of promises and leaving us all with the feeling of "zschall" (żal). This word is difficult to translate into English and can be described by such English words as sorrow, regret, grief and commiseration. But there is also in this word something of fascination of human being reflecting upon irresistible passing of things and poeple in time. This emotional component was vital to Kosz (he used to say: "tylko smutek jest piekny" - "sadness only is beautiful") and was also present in Polish music through works and lives of our greatest musicians like Chopin (in classics) or Komeda (in jazz). Both of them also died young and unhappy. So it was inevitable to some extent that Kosz became like his precedessors more like a myth than a man of flesh and bone. And his biography was perfect material for creation of such a myth. He was born in a small village Antoniówka close to Tomaszów Lubelski, in a region regarded as poor and backwarded in Poland, very unlikely to produce and nurture any musical talent. Being just 3 years old he became subject to eyes desease. Extreme poverty of his family (they lived 16 persons in 1 room), the ruin of the country ravaged by barbaric war, bad relationships between his mother and father, unfortunate medical surgery all resulted that he lost his sight forever. This misfortune however led him to first Polish elementary school for blind children opened in 1952 in Laski and then to secondary school in Cracow. It is doubtful whether his musical talent would have a chance to be spotted and developed had he remained healthy and living in a small, distant village where he was born. He become prominent student of those schools and was planning to enter excellent Musical High School in Cracow. But upon the completion of secondary musical school in 1964 another tragic event occured in his life: death of his mother. Because of lack of material resources he decided not to continue his studies and instead turned himself toward popular music and especially jazz. Being still less than 20 years he started to play as pianist in Cracow clubs and restaurants. In 1965 he went to Zakopane which is small town in Tatra mountains but also winter venue for Polish culture, economical and political elites, where he lived up to the beginning of 1967 earning money by performing in local clubs. At least he was spotted there and was encouraged to move to Warsaw where he played in famous Nowy Świat cafe. In the same year 1967 he gave a groundbreaking gig at Jazz Jamboree '67 in Warsaw. Since then he was recognized as one of the most propimisng young jazz musicians in the country. In 1968 he was awarded artistic scholarship granted by PSJ (Polish Jazz Association) together with another talented pianist Adam Makowicz. The scholorship has solved many of his financial problems and he was able to buy his own piano. On the other hand by mowing to Warsaw he was detached from poeple whom he knew and loved in Cracow (Zakopane is also close to Cracow) and who who cared about him. His musical carrer developed now by leaps and bounds . In 1968 he was awarded 1st Prize in Vienna VIIth Austrian Amateur Jazz Festival. Later on he played in other jazz contests always being recognized and awarded multiple prizes like at famous Montreux festival (3rd prize). At this last festival it is interesting to recall repertoire his trio played that evening: Chopin's Preludium C-moll, Cosma's "Autumn Leaves" (being also favourite song of Bill Evans whom he met in person during this festival) and "Milestones" of Miles Davis. Thus all most important influences on his music were evidenced in that gig. This same year he also played in famous Paris jazz club "Cameleon" where previously played Miles Davis, Thelonius Monk, Bud Powell and the likes. Not bad for a 23 old man who just a year ago was playing pop music in restaurants in bars in small town somewhere in distant mountains in one of communist states in the East. The possibilities in his carreer were wide open and virtually limitless. Strating from 1969 he played in innumerable giggs in most important Polish jazz clubs and festivals. He played often in Polish radio, TV station and also travelled abroad (not easy thing in those times). Unfortunately his record output is was very modest (all media were state owned then and jazz being music from the West was not to be popularized). In 1969 he appeared on disc titled "New Faces in Polish Jazz (Jazz Jamboree '69)" but his 1971 "Reminiscence" remains the only album he issued as a leader during his lifetime). On 28th April 1973 he died after falling out of window of his Warsaw apartament. Very much like Chet Baker did more than decade later in Amsterdam hotel and also like Chet's Kosz death remains unsolved mystery. So my own reminiscence of Kosz has ended but there is still the music on that disc that awaits few words. Perhaps I shall write more about it in other post. Ceratainly music deserves it. Undoubtly influenced by Bill Evans I find it very unique, individual, melding in perfect coexistence classical and jazz tradition. It also has this specific slavic touch present in best compositions of Russian, Polish and Czech composers and musicians. I mean by this dialogue between discipline of mind and vehemence of emotions with the prevalence of emotions. They found its expressions in improvisation that is the heart of this music. Sad but immortal. RGG is name of one of the most interesting jazz trios in Poland. R is for Przemysław Raminiak - piano, G for Maciej Garbowski - double bass and one more G for Krzysztof Gradziuk - drums. They all graduaded from jazz faculty at Musical High School at Katowice and play together since 2001. This is their fourth album but first one on which music is almost entirely improvised. They gradually matured to be able to reach this stage, issuing over the years albums which contained more and more free jazz. All those albums were critically acclaimed, some of them as Unfinished Story, inspired by music of Polish genius piano player Mieczysław Kosz, was even awarded as the best jazz album in Poland in year in 2007. But to say all this is insuffcient to properly describe this music. Since its uniqueness lies in the way it's improvised. Though free it is by no means chaotic, energetic or out-of-control. On contrary it is disciplined, purposeful, focused. It sounds rather contradictory to the idea of free jazz we know but those musicians prove it is possible. What is free is the flow of music but it's free in a way the river is and not in the way the sea is. Someone wrote about this music that the closest parallel we can find to it is Bach's "Goldberg Variations". It is very true in my opinion because this music has clear classical affinities and its quality is also so high that to make such comparisons is by no means exaggeration. And to add last thing to all what was said previuosly it is necessary to say that this music altough free, refined and complicated is light as snow flake, enjoyable as dance of skilled ice skater, hypnotasing as is light that glitters in fire place. Simply this music is of stellar quality that can and should be rehearsed over and over again. Hopefully those musicians shall earn one day recognition they deserve also outside Poland. I chose Dark Eyes for first note in my new blog for two reasons. First, it is still fresh stuff which was premiered in Polish music stores just on 20th October. And this reflects my intention to follow current developments of Polish jazz music for the benefit of mainly foreign audiance. Second, this album is featured by Tomasz Stanko who is both living legend of Polish jazz and musician who enjoys international recognition. Which points out to my second intention to advertise many splendid but largely unknown Polish musicians to listeners from other countries. This I believe shall be good thing for all parties involved since music knows no boundaries, exactly the same as love does. They replaced the fantastic trio of young Polish players (Marcin Wasilewski, Sławomir Kurkiewicz, Michał Miskiewicz) which accompanied Stanko since 1997 (Miskiewicz being at that time 16 years old!). The level of interplay between Stanko and his former trio was legendary and many fans were truly anxious about the outcome of this change. Next change comes from the first one since new musicians brought new set-up of instruments thus changing the sound of Stanko music. It was big question for Stanko music careful listeners how it shall affect his music integrity and identity. 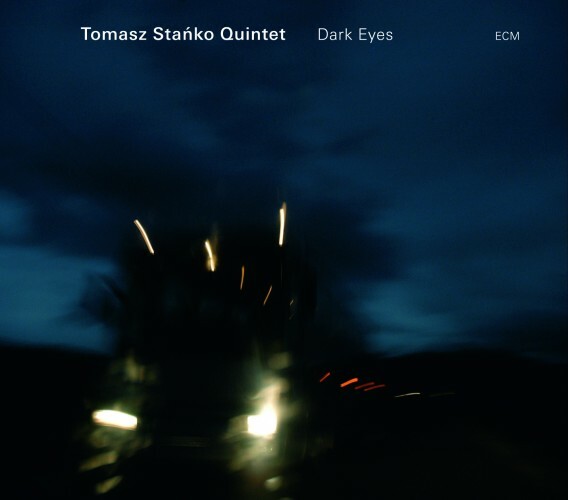 Further, recently Tomasz Stanko moved from Cracow in Poland to New York. It is very interesting wheteher we shall hear what was Stanko reaction to living in Big Apple, the city being itself also the capitol of jazz. The answers to all the questions you should of course seek by yourself. I find new, young collabolators more than satysfying. It in fact astonishes me that they were able so fast and so well get into line with Stanko. They also bring to music very attractive scandinavian blend, music being very relaxed, almost chill-out, never still being too obvious or over-controlled. As for album's title it comes from the painting of Oskar Kokoschka "Dark Eyes of Martha Hirsch" which Stanko saw in small gallery next to New York Amsterdam Avenue where he lives in. The compositions present on this album are all new ones penned by Stanko, except Dirge For Europe and Etiuda Baletowa No. 3 whose author was Krzysztof Komeda, probably most famous of all Polish jazzmen, once collaborator of Roman Polański on his famous Rosemary's Baby picture. To sum up I shall only say that this is best Polish jazzman playing with incredibly gifted young scandinavian musicians all creating the music which is unique in European jazz and in, I believe, world jazz too. To say one word is enough. Excellent.